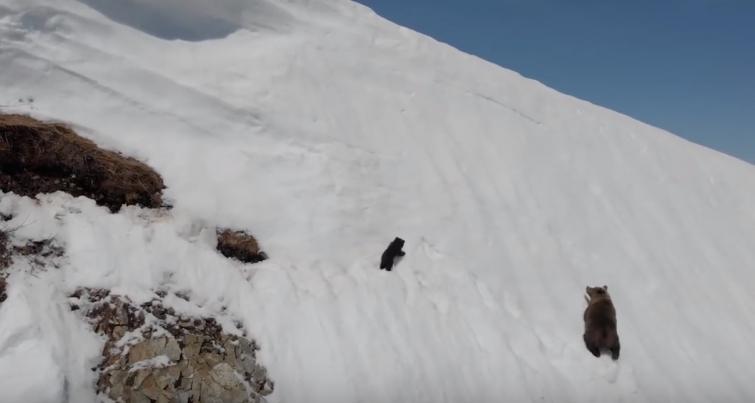 This bear video went viral on social media last week. But a closer look at the seemingly innocent video made animal lovers all over the world furious. The bears had been intentionally frightened. This is what happened. As inspiring as the message is, the video turned out to be quite the opposite of encouraging. After a closer look, animal activist discovered a drone filmed the two bears. The bears were probably so scared of the drone that they tried to escape and eventually found themselves in this dangerous position. How far are we willing to go for a viral video nowadays?